I love summer arts festivals (as you can see from my coverage last year of, amongst others, the Sunshine Coast Art Crawl 2011). I also love Whistler in the summer (yes, I know, you may wonder what the heck do you do in Whistler during the summer if there is no skiing or snowboarding – I have the answer for that question in this series of blog posts). And a combination of both is the upcoming Annual Flag Stop Theatre & Arts Festival which will take place on August 11th. Organized by The Point Artist-Run Centre Society at the former hostel Lodge in Alta Lake, Whistler, this artistic festival promises to be a great event. 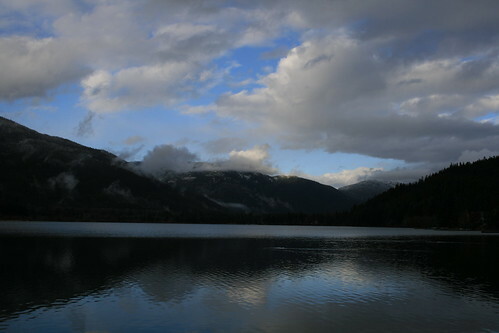 Alta Lake. Photo credit: Blythe D. on Flickr. The Point Artist-Run Centre Society is pleased to present its second summer of arts and cultural events at The Point. The heritage lodge on Alta Lake will once again host Saturdays at the Point, an open house featuring singer songwriter performances, this summer’s TRACKS art show, and the popular Book Shop Café. Art workshops will be held for children, teenagers and adults on Tuesdays and Thursdays from June 28 to August 9. This summer also launches the first annual Flag Stop Theatre & Arts Festival on Saturday, August 11. The floating stage will feature theatre, music and improv performances developed through the summer workshops, as well as the debut performance of Agnes, a play by Stephen Vogler. Summer at The Point is a pilot project currently in its second year conducted by The Point Artist-Run Centre Society in conjunction with the Resort Municipality of Whistler.